So, if you have followed the steps in part 1 and 2 you will have 2 very important numbers. The first is your net worth, where are you at this point in time. The second is your monthly cash flow. It is either a positive or negative number and this will show you whether the first number should be going up, or down. Can you see how the 2 are related? Your net worth is a direct result of how you spend you money month over month. You are either building wealth, or taking it away from your future. As I have mentioned earlier, bringing this to life is the best way to get rid of any anxiety or pressure you might feel when it comes to money. Remember, they are just numbers and they can change. Do not dwell on them or let the overwhelm you. If you spend all of your time beating yourself up because you can’t see the light at the end of the tunnel; you will end up, as they say, like a deer caught in the headlights, frozen! Forget about the end of the tunnel, focus instead on today, it is what it is and we can’t go back to change decisions that have already been made. My better half always gets mad at me when I say that because she doesn’t think I’m being serious ha. But that’s not what I mean, I don’t say it to trivialize your problems (or lack of problems), saying it is how it is means that today is a culmination of all the steps you have taken in your life and you cannot go back and change it. It’s time to make peace with it and understand that as long as you are alive, you will be taking another step forward and you can choose the direction of that step. So what direction do you need to go? Is your monthly expenditures more than your income or is it so close to your income that you feel like money is very tight and your suffocating? A survey done by Canadian Payroll Association in September of 2014 says that 51% of all Canadians would find it difficult to meet their financial obligations if their paycheck was delayed by just a week. Just one week!! By figuring out your own personal cash flow you will now know what half you fall into. There are 2 ways to change this; the first, which I will address in more detail in a future post, is to increase your income. This isn’t always an easy task but it is something people often don’t consider because they dismiss it as out of their control. This is not true because the one constant in life is change. But let’s first assume your income is a fixed number and move on to the second way to change your situation; lets start looking at your expenses. I know… groan… “he’s going to tell me to give up my latte’s!”. Trust me, I’m not here to judge anything you spend money on, my goal is to get you to value the dollars you spend and see if what you value is really what you are spending on. Below are 5 simple steps to go through to see if there is a way to trim any unneeded expense. Step 1 – Are you getting value for everything that is going out on a monthly basis? Are you paying for a gym membership that you never use? (Exercise is important to a long wealthy life but even here there are options, maybe you don’t need a full package, maybe there is a cheaper gym that’s only a few km away that you can try out. Maybe rotating between gyms to take advantage of introductory memberships as a place to start or maybe you can work out at home or outside). What are you paying for your cable/internet? Is there an introductory offer by the “other guys” that you can take advantage of to reduce your bill. Maybe you don’t need all of the channels? What about your cell phones? Are you on the right plan? Is there an employee plan available because of your work? Christmas is always a good time to shop for new phone plans. I think it’s very important to have a look once a year or so at all of your plans and make sure that things haven’t changed. I recently switched my cable provider and was able to save an extra $23 per month for example. The most important thing is to reassess and make sure you are still getting value for what you are paying and not to become complacent, the market is forever changing. Step 2 – Have a look at what I like to call your monthly “habit” spending. I’m not going to say you can’t indulge yourself and never eat out for lunch or go to Starbucks, but do you need to do it every day? Most of what we do we do out of habit, we grab a coffee on the way to work because it’s “easier” or “faster” but are you getting value for what you are spending? Could you not create a habit of brewing a pot of coffee in the morning, or switching from a Keurig machine to one that grinds its own beans? It’s amazing how much money you can save just by changing habits, and you might even lose some weight by not eating out all the time. For example, I have a weekly meeting for a Rotary club I belong too and I almost always had a beer or 2 with dinner as we meet in a pub. Well, this is costing me $60 per month plus tips…. Step 3 – Look at your debt… how much do you owe? 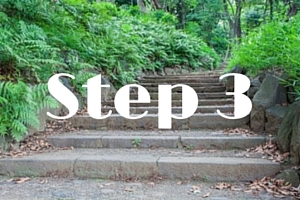 This is the hard step, it usually involves lots of self-loathing and anxiety. For the moment I’m going to leave out mortgage debt and assume you are paying this down with an amortization that brings the balance to zero before you retire. We will get back to mortgages soon. One thing I did when I got into the financial services industry is add up just the interest cost every month that I was incurring. I looked at each of my credit card statements, my line of credit statements and I looked at the details of my loans and added up how much every month was going to just pay interest and it made me sick. Working for a big bank in Canada, I often hear people complain about the fees they pay and how it’s obscene because the bank’s profits are so high, but it’s not the $10.95 per month account charge that generates those big profits, it’s all the interest that people pay. That’s the number that should really get you angry and drive you to make a change. I can’t remember now but at the time I think I was paying something like $350 per month in interest costs alone…. $350 per month! I was shocked. Now ask yourself, do you get value for all that money spent? Do you know what you bought that got your credit card to where it is? It’s easy if you look at a car loan to see what you own because of it, but is that car worth what you owe still? Hmmm, something to think about. Step 4 – Evaluate your home. Your biggest monthly expense is likely to be your mortgage or rent. This is not something that is easily changed but it is something to be aware of. Do you get value for what you are spending? Again, I’m not here to pass judgement but are you working just to support a house you don’t need? Do you need all the space you have? Are you living in your dream home or your dream neighborhood? If not, why not? Could you find a cheaper home in a neighboring community or in a different area of town? Could you apply those savings to help you build up your net worth to get you into that dream area in a few years time? Sometimes it’s worth taking a step back to help you build to the next giant leap forward. I have too many clients who are paying huge rent for a house they don’t use or don’t like, just to be close to work or school for the kids. If you could save yourself $500 per month for a couple of years where would that get you? Again, this is just something to consider when looking at your expenses. Step 5 – Let go. Let go of all the guilt and remorse that you feel after reading through the above. You can’t change the past and so there is no point in dwelling on it. The purpose here is just to re-evaluate the present and decide if it lines up with the reality you want for yourself. If it does, that’s great, let’s get going on maximizing the wealth you have. If it doesn’t, it’s very important that you take the time and ask yourself what is the reality you want? Financial Planning is all about awareness. You need to know what direction you want to go if you are to make any progress. Remember, the purpose of these steps is to see what, if any, value is associated with your monthly expenses. It becomes much easier to eliminate excess if you don’t see any value in them! In the next post I will address debt in more detail and give you an outline of how you should structure your debt to reduce your costs as much as possible. One final note, if you take anything from this post at all, let it be this. I’m not questioning what you spend your money on or judging how you live. No one can tell you your priorities in life other then you. What’s important is that you see the value in your expenses. This step is all about bringing awareness to the dollars that are flowing in and out of your life. You work hard for those dollars, in most cases you are giving up your greatest resource to earn them, your time! Life on this planet is finite and so make sure you figure out what’s important to you and what you value, and then spend your money on that!